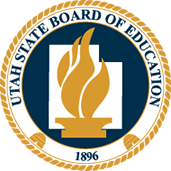 District administrators will receive a secure user name and password to access the full writing website to help manage Utah Compose at their school. Upon logging in, school administrators can change their password, access the Help page, adjust personal display settings, sign out to return to the Welcome page, and access the four main action tabs: Courses, Prompts, Users, and Reports. Through the Reports tab, District administrators can access a wide variety of reports that provide data about district, school, and class performance, progress, prompts and usage in Utah Compose. Enter your Utah Compose username and password to access the Administrator reports through the Web Portal.